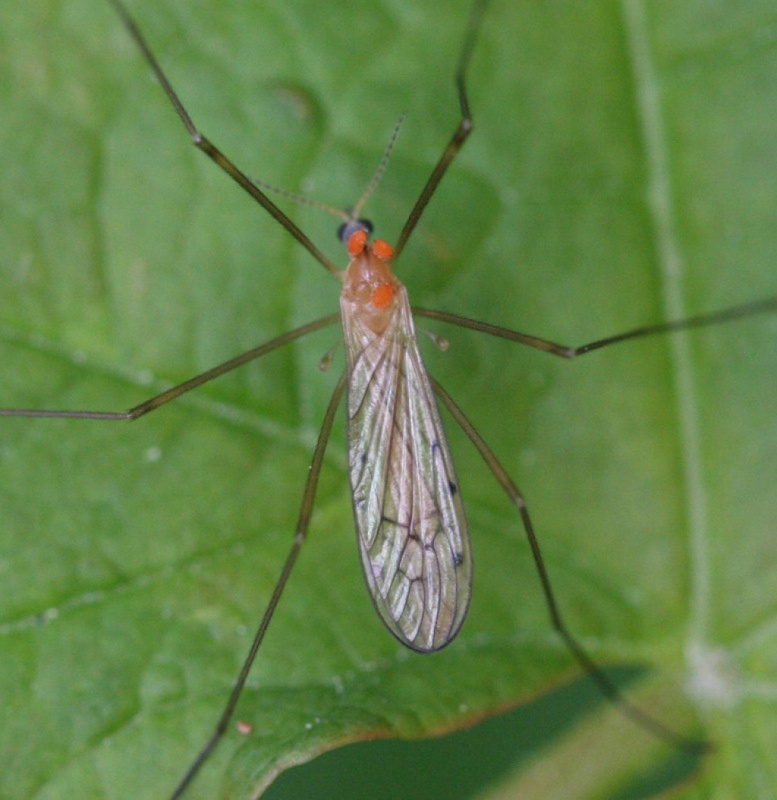 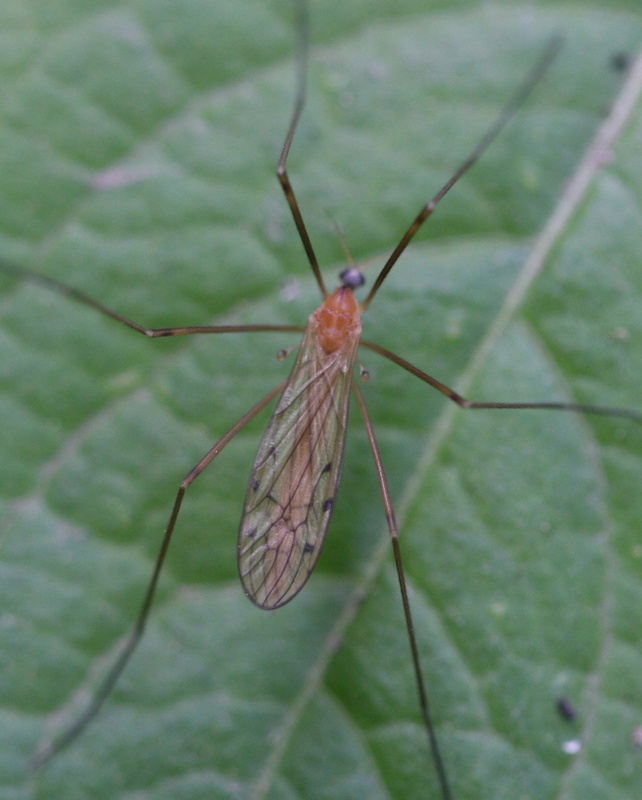 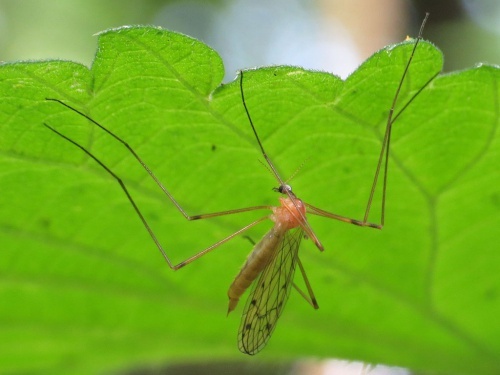 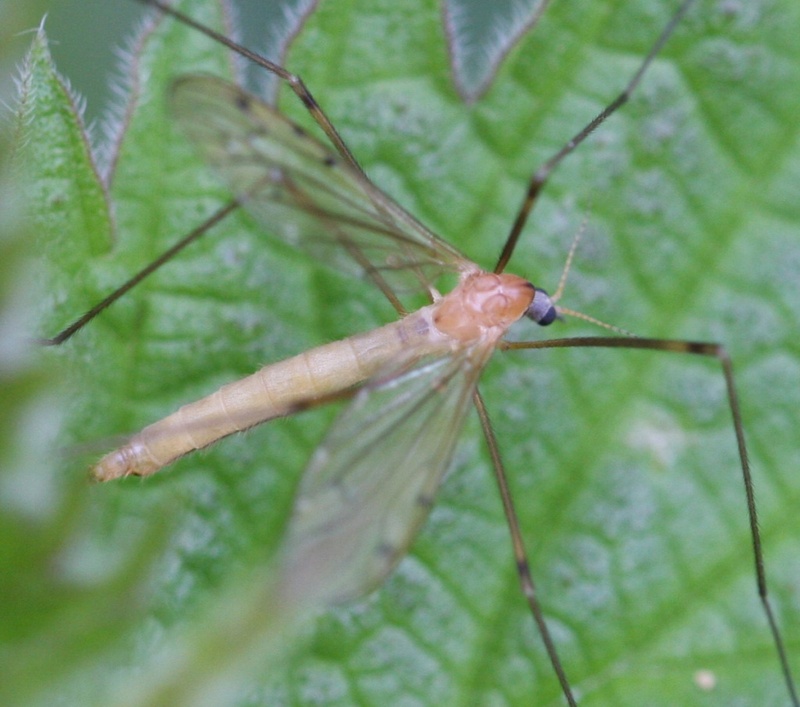 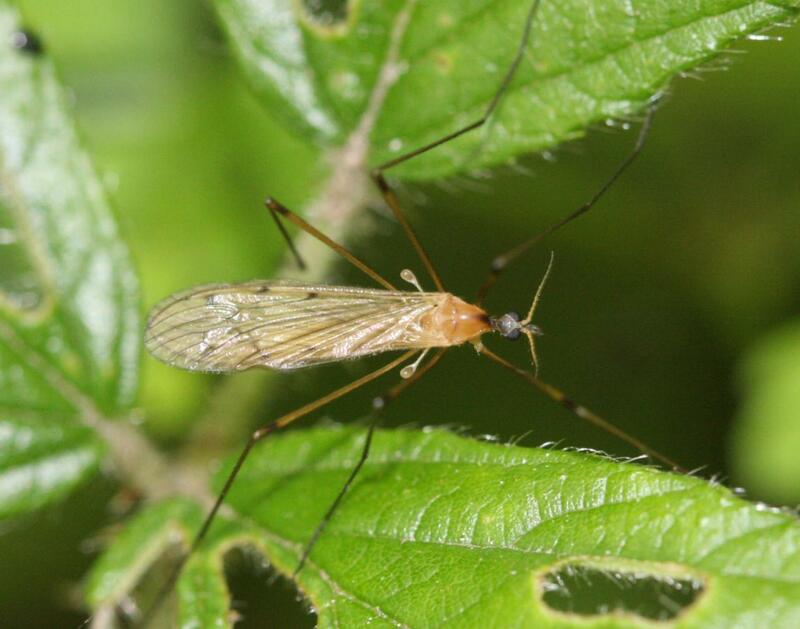 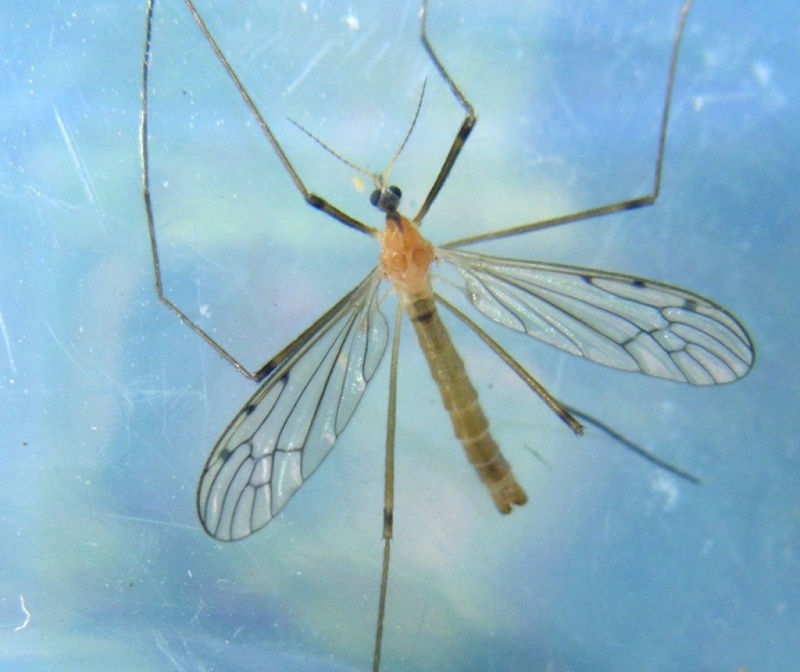 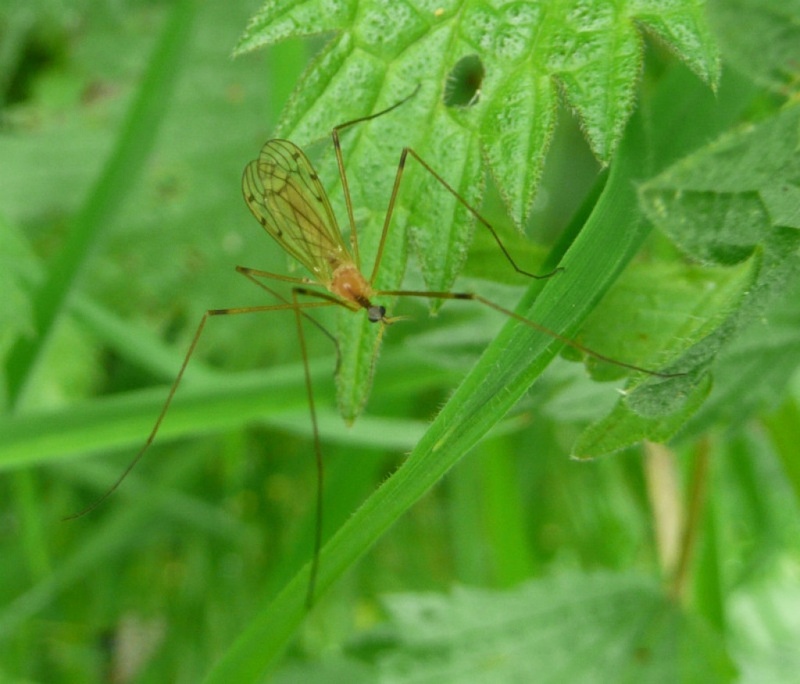 A striking cranefly with pale orange thorax and abdomen and a grey head. 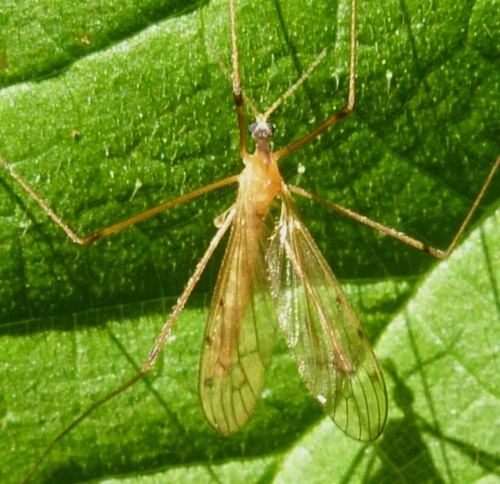 The wings have strong but small black marks. 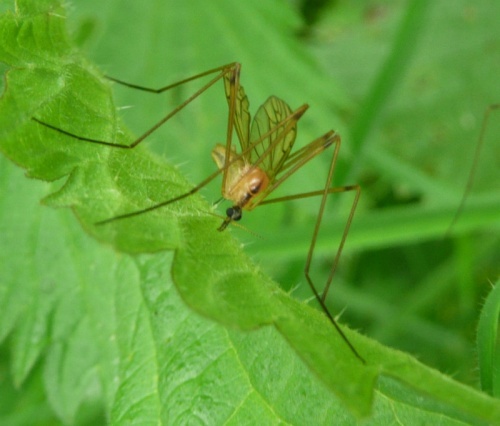 The black rings on the legs go nearly to the top of the femur, leaving pale knees. 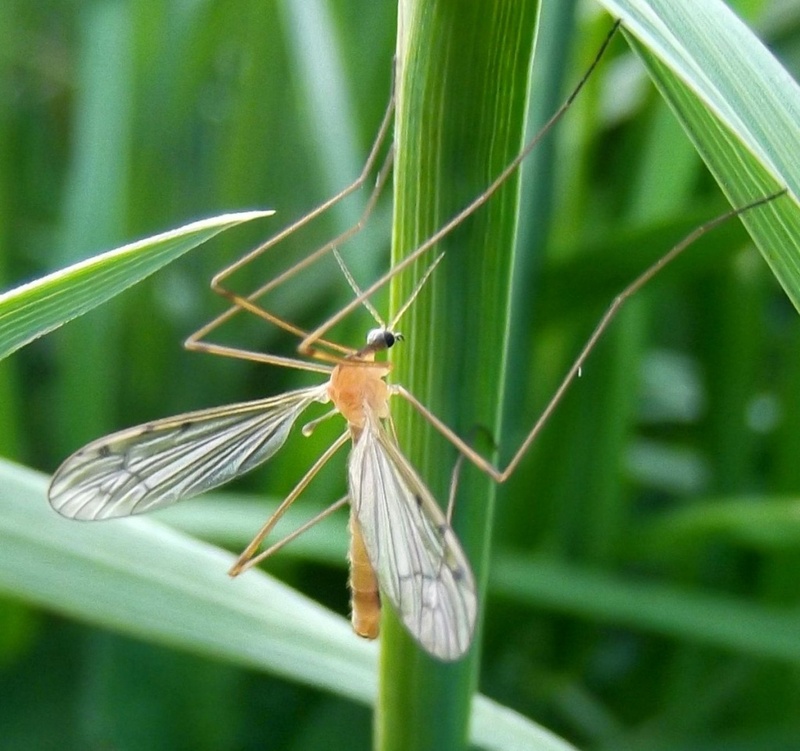 Commonly found on shady grassland.